What could be more awesome than a guitar made of LEGO? How about a guitar made of a LEGO Star Wars Millennium Falcon! Korean Builder Kkaebok turned his LEGO set of Han Solo’s infamous space freighter into a radical guitar, with everything but the strings made of LEGO. Plus, the cockpit and interior light up for extra cool points. 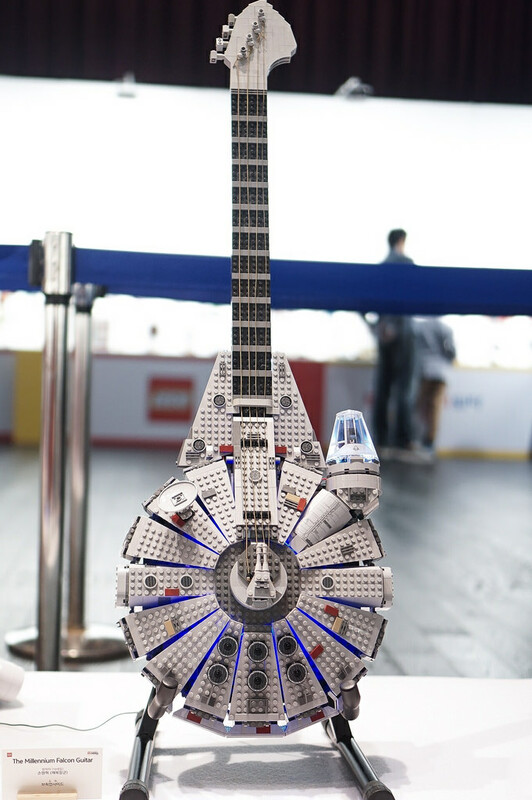 Let’s be honest: who doesn’t want a guitar made of a LEGO Millennium Falcon? 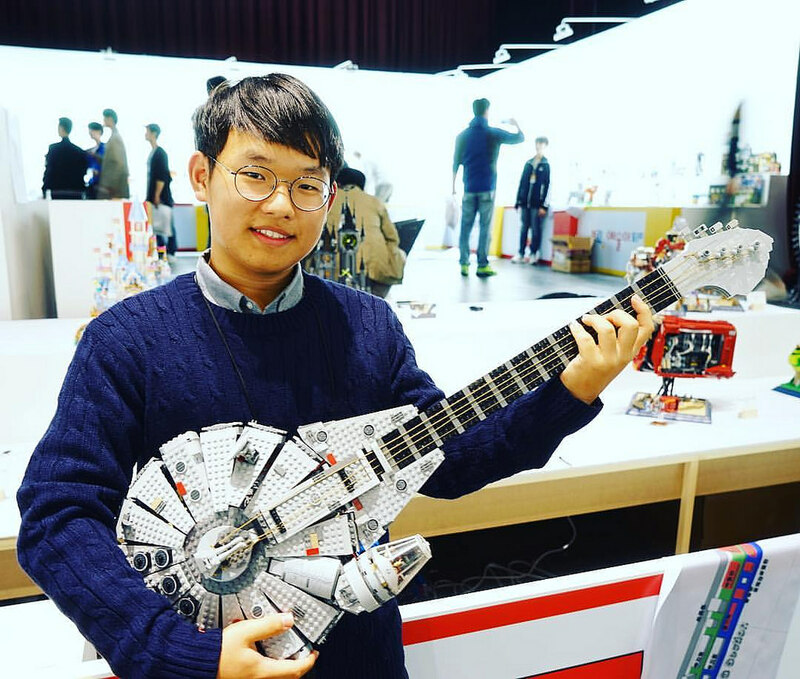 We asked WonHyuk a few questions about his fascinating model, and he shared with The Brothers Brick that he used the Classic Trilogy Millennium Falcon from 2014 as the basis for his guitar. The guitar isn’t actually playable, though the strings are real guitar strings — WonHyuk tells us that he’d like to make it playable “someday.” The hardest part was integrating the LEDs into the guitar body — the cockpit lights up, and a blue glow shows through from the interior. WonHyuk is a high school student in Korea today, but aspires to be a LEGO Designer after school. If his future ideas are this awesome, we think he’s well on his way! Good luck, WonHyuk — rock on!